Our central Bristol hair salon has some exciting news on the hairdressing blog this week, with new hair products and bespoke hair treatments now available with the launch of Serie Expert from L’Oreal. These fantastic hair products and hair treatments come from L’Oreal, and include a full new range for clients, including shampoo, conditioner, masques and prescriptive treatments for each client’s specific hair care needs. 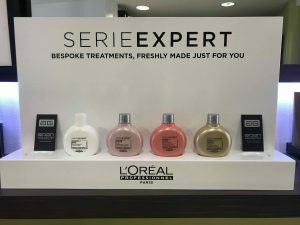 The new Serie Expert range of hair products also includes the new PowerMix range, which delivers an incredible level of bespoke hair care for our clients. Powermix products provide moisture, protein, shine and nourishment. Application is simply a case of shampoo then the individual treatment for the client. Powermix hair treatments cater for a combination of anti-breakage, more moisture replacement, hair smoothing, de-frizzing and much more. After each full and free client consultation, we then offer a combination of bespoke products to exactly match the client’s individual hair care needs. The hair treatments are quick and easy, typically taking around five minutes on top of a client’s usual service time for their hairdressing service with us. Simply mention this blog post, and get a bespoke hair treatment at our Baldwin Street hair studio for half-price, at only £7.50. The shampoos, conditioners and masques are all available to buy from our central Bristol hair salon too. We also sell shampoo at £12, conditioner at £13, and masks at £16. Simply ask when you visit us. 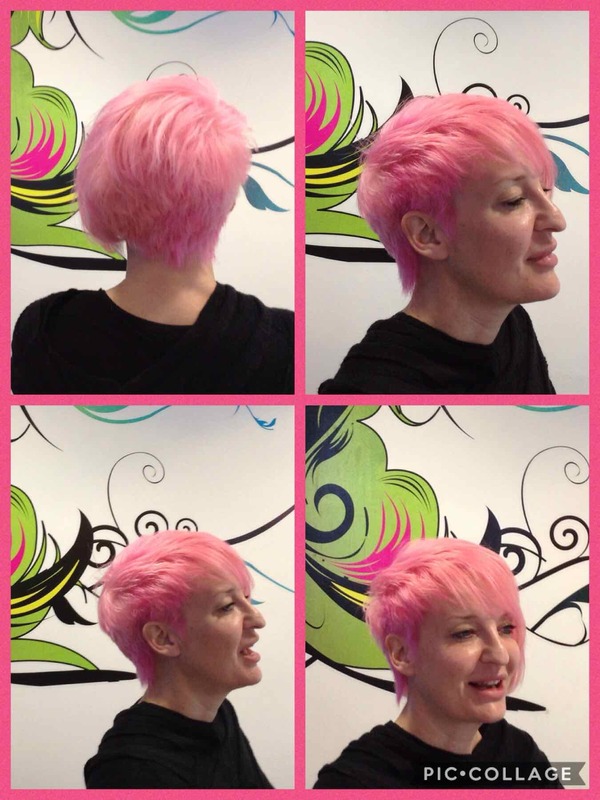 It’s that time of the month here at Aidan Garlington Hair Design when we dedicate our central Bristol hair salon blog to a specific haircut or hairstyle to showcase it for readers and clients. And with Summer upon us, we’re going to review a popular hairstyle for our female clients – cropped hair for women this Summer in Bristol. The essential element to this women’s hairstyle is to have it cropped on one side and longer on the other. It’s a dramatic, statement haircut and great for Summer weather, as it allows movement and air flow across the face and neck during warmer weather, whilst still retaining a strong signature look. The women’s haircut in the pictures above was delivered using scissors and clippers, with the scissors creating texture and giving added softness overall. The full head colour was from a bleach and tone treatment, followed by application of Fuschia colour from the Milkshake hair colouring brand. The scissor cut at the side provides a strong look, whilst the cropping element leads into a longer level on the left from a graduated bob and a soft fringe. 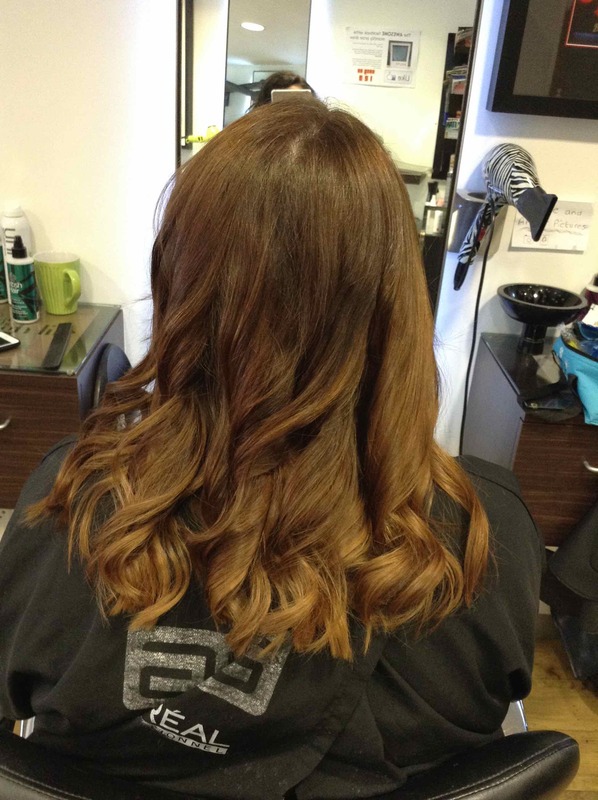 This gorgeous example of cropped hair for women took approximately two and three quarter hours to deliver and costs from £93, depending on the stylists level providing the cut and colour. Ask the hairstyling team at our Baldwin Street hair salon in central Bristol for further details when you make your booking. It’s a fantastic Summer look! To find out more about Milkshake Haircare and the fantastic hair colouring and hair products they provide, please visit here. 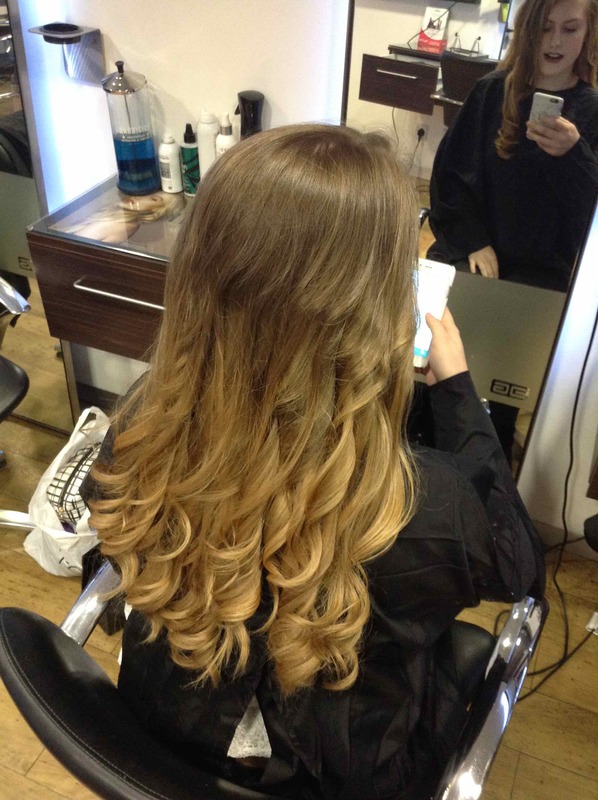 To see the full range of hair products, hair treatments, hair styling, haircuts, haircare, hair colouring treatments, hairdressing, hair colouring, and hair extensions we offer at our Baldwin Street hair salon in Bristol, please get in touch here.